Recent Arrival! * Local Trade *, * Low Miles *, * Navigation GPS NAV *, * Moonroof Sunroof *, * Heated Seats *, * All Wheel Drive *, Active Cruise Control, Aha, Auto-Dimming Rear View Compass Mirror w/Homelink, Blind spot sensor: warning, Brake assist, Electronic Stability Control, Front fog lights, harman/kardon Surround Sound Speaker System, Heated rear seats, Memory seat, Moonroof Package & Keyless Access & Navi & EyeSight, Power Moonroof Package, Pre-Collision System, Radio: Subaru Starlink 7.0" Multimedia Nav System, Smartphone Integration, Vehicle Information Display, Wheels: 18" x 7.5" Aluminum Alloy w/Machine Finish. 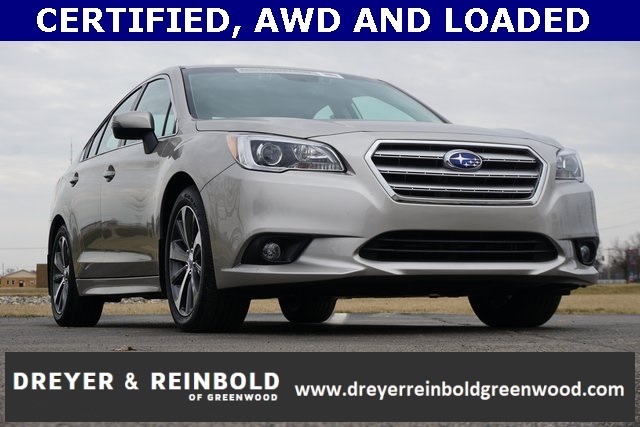 2016 Subaru Legacy 2.5i Limited Champagne CARFAX One-Owner.